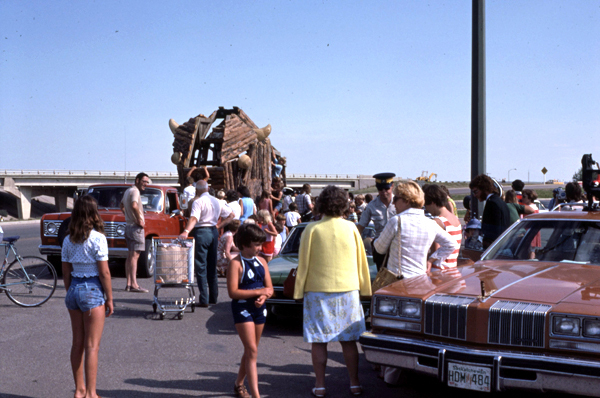 Give ‘Em a Half Turn documents the journey of Billy Buffalo—a wooden playground structure by artist Russell Yuristy—as it makes its way across the province of Saskatchewan in the summer of 1977. From Yuristy’s Stilton studio to the commissioning city of Swift Current, the lighthearted trip is punctuated by naysayers offering colourful commentary on the classic Canadian debate about public art…and public money. 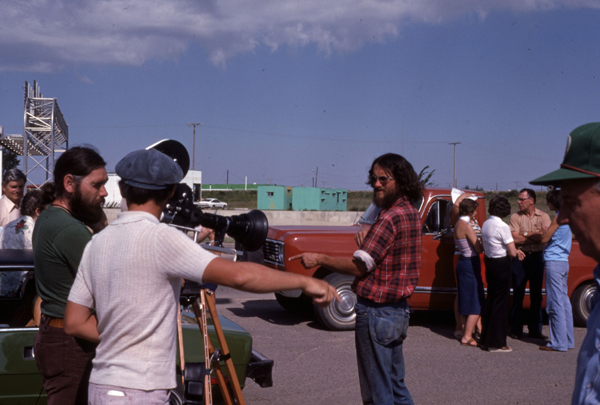 Like fellow sculptor Joe Fafard (who makes a cameo appearance in the film as the hitchhiker), Russ Yuristy was heavily involved in the storied Emma Lake Artist Workshops, where promising Saskatchewan artists were mentored by big-time New York art world figures like Jules Olitski, Barnett Newman and Clement Greenberg. But despite his formal training, in the 1970s Yuristy began making art in a distinctively groovy, almost “outsider” style that wasn’t always popular with its intended public. As Give ‘Em a Half-Turn shows, Billy Buffalo began drawing fire even before it was installed. “Is this taxpayers’ money?” a woman at a rural Texaco wants to know, while two old farmers chime in on the sculpture’s anatomical correctness. Yuristy is forced to defend his wooden creation; “I don’t court these grants,” he says. “People ask me to make something, I make it.” Meanwhile, children climb aboard the sculpture and, by playing on it, begin to fulfil its intended purpose. 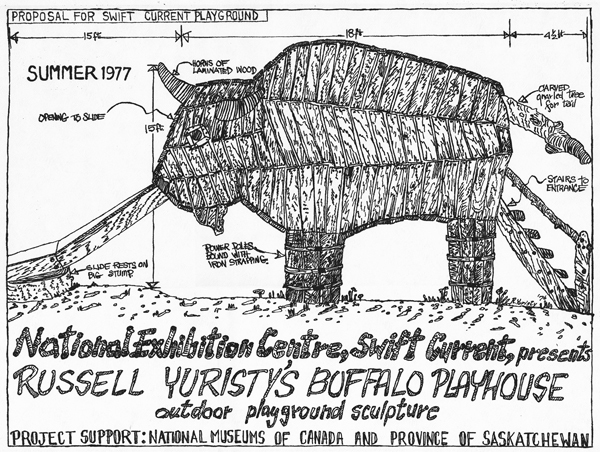 After its installation, Billy Buffalo sparked quite a controversy in Swift Current. In the local paper, aldermen were reported to have recommended gifting it to “another, any other, city,” calling it “a waste of money”. It’s fitting that Billy Buffalo’s inauguration day blew into an old-fashioned prairie storm, with wind gusts buffeting the majorettes and dark clouds threatening to touch down in funnels. The ill-fated sculpture stood for only three months before being burned to the ground by vandals just after Halloween. While only hinting at the controversy and choosing instead to focus on Yuristy’s stoic attitude, Give ‘Em a Half-Turn perfectly captures the plight of the non-conformist and the struggle any artist faces to be understood by the public. Because the children of Swift Current liked it, the wooden buffalo was replaced with a pale imitation of the original—rebuilt in the more fireproof material of concrete. Billy II lasted until the city tore it down in 2007 to make way for a more modern play structure. But while Yuristy’s sculpture may be gone, Give ‘Em a Half Turn is still around to remind us that life, as the artist playfully declares, is really just about “building buffaloes”. Negative comments are just small bumps on the road you have to get over if you want to go anywhere. 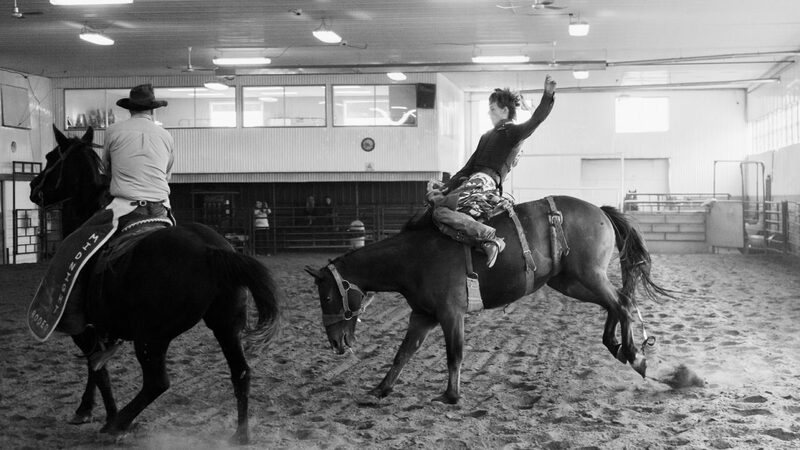 All photos: Swift Current Museum.